Keep your little Oklahoma fan warm with this Oklahoma Sooners Long Sleeve Hoodie! 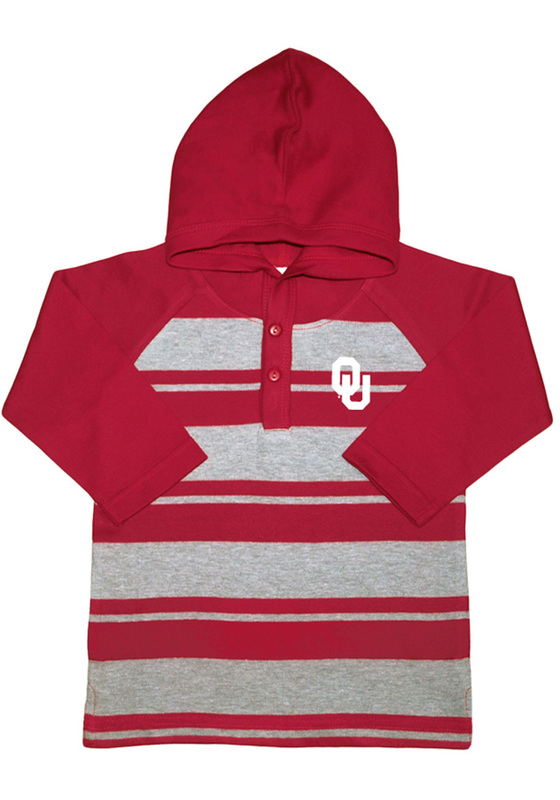 They'll be cozy for the game in this Oklahoma Toddler Crimson Rugby Stripe Hooded Sweatshirt. This Sooners Long Sleeve Hoodie features a stripe pattern and team logo on the left for the ultimate expression of pride.